Snickerdoodle Whoopie Pie Recipe with fluffy cinnamon frosting. These sandwich cookies are perfect treats for your holiday cookie exchange! This is the cookie so many of us remember making with mom, especially around the holidays. Little hands, rolling sweet dough balls in cinnamon sugar. Soft pillowy cookies, hot out of the oven, kissed with spice. The tangy-sweet taste of holiday spirit. 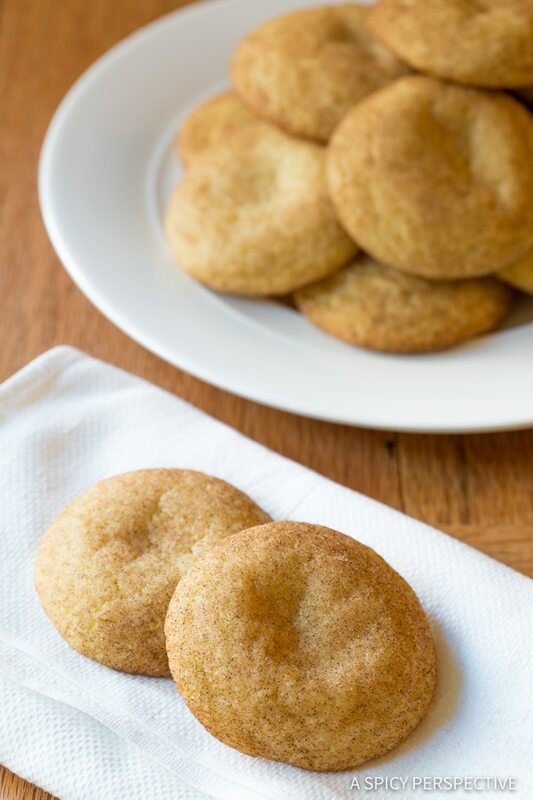 Classic snickerdoodles are pretty spectacular on their own. However, squish two cookies together with fluffy frosting and you’ve got something truly magical. 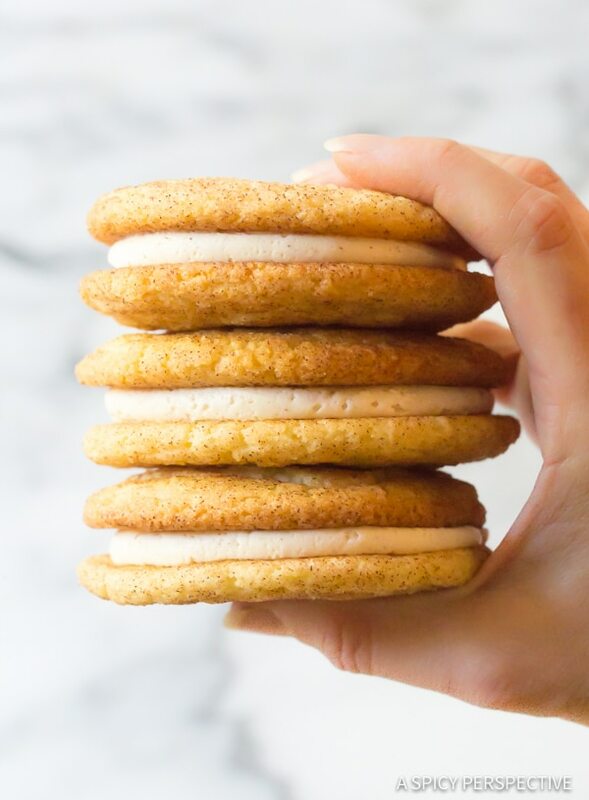 Today’s Snickerdoodle Whoopie Pie recipe is a ramped up double-decker golden glittering snickerdoodle treat filled with ultra soft cinnamon marshmallow filling. 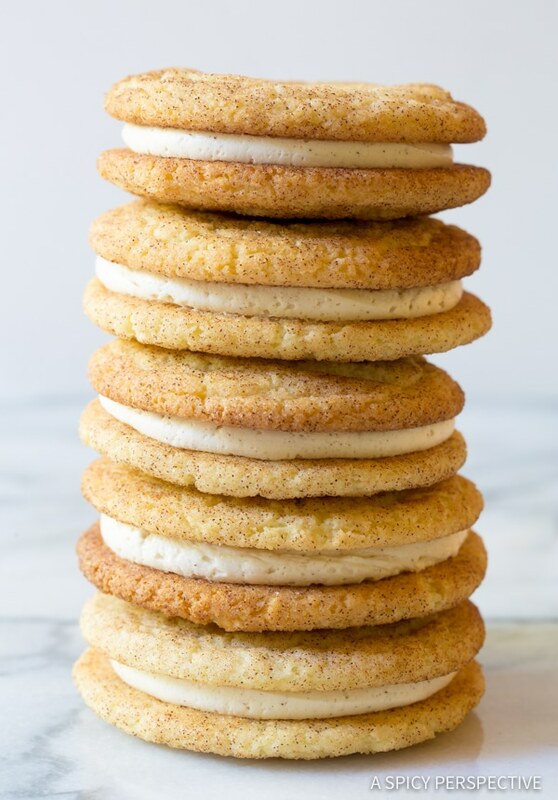 The cookies themselves are a flatter version of my mom’s perfect snickerdoodle recipe, which makes them easier to sandwich and stack. 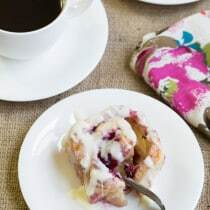 The cinnamon frosting is a hybrid of half traditional frosting and half marshmallow fluff, which makes it extra light and airy. 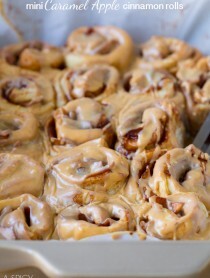 Roll the cookie dough in cinnamon sugar and bake until golden. Once the cookies are cool, prepare the frosting and scoop it into a piping bag, or a plastic bag with the corner snipped off. Pipe swirls of frosting onto the bottom of half the cookies. Then give each sandwich cookie a topper. 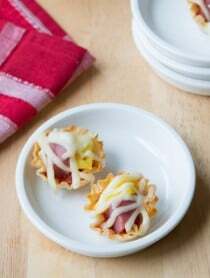 These little beauties look fabulous on holiday cookie platters, and are just the sort of treat to take to school or office parties. 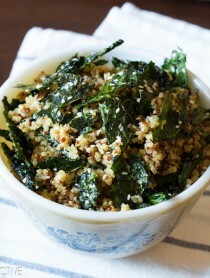 They are utterly divine in taste and texture. I’m sure even Santa would appreciate a couple Snickerdoodle Whoopie Pies served with a glass of milk on Christmas Eve! Try using Nutella chocolate hazelnut spread as the filling between the cookies! 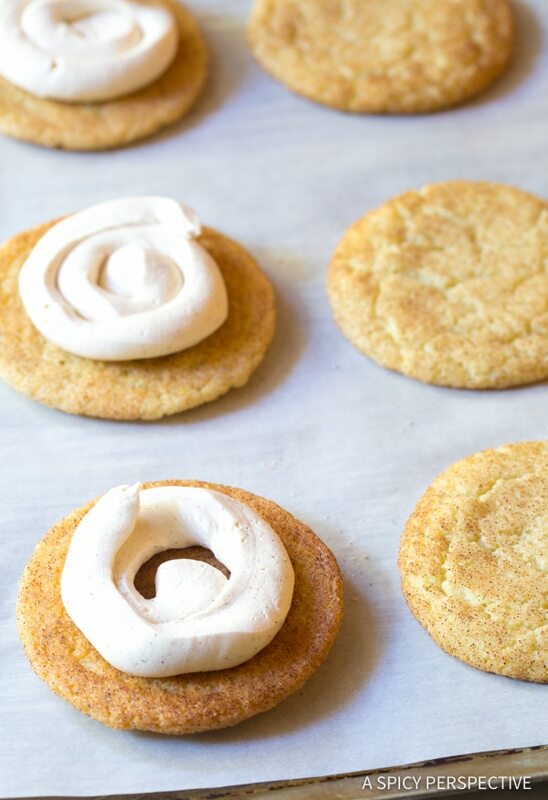 These snickerdoodles also make an amazing base for ice cream sandwiches. Fill with mint chip or holiday peppermint ice cream. Instead of cinnamon, roll the cookies in pumpkin pie spice blend for an extra spiced finish. 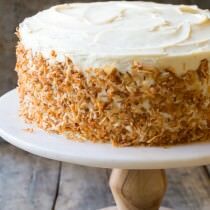 Make a Gluten Free version using 1-to-1 gluten free baking mix! 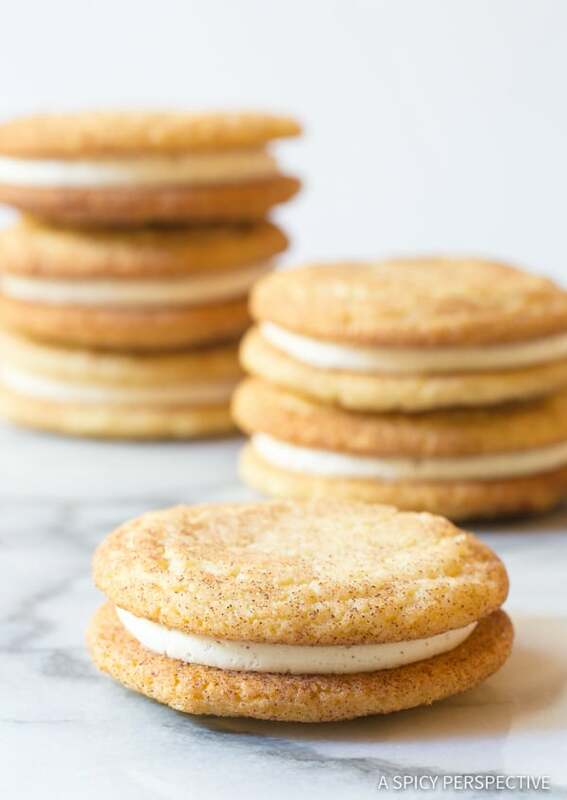 Snickerdoodle Whoopie Pie Recipe - with fluffy cinnamon frosting these sandwich cookies are perfect treats for your cookie exchange! Preheat the oven to 400 degrees F and line several baking sheets with parchment paper. In a large bowl whisk together the flour, cream of tartar, baking soda, and salt. Set aside. In the bowl of an electric mixer, cream the butter and 1 1/2 cups sugar together until light and fluffy, about 3–5 minutes. Then beat in the eggs and scrape the bowl. Turn mixer on low and slowly add the flour mixture until well combined. Mix the remaining 1/4 cup sugar and cinnamon together in a small bowl. Use a 1 1/2-tablespoon cookie scoop to measure out dough balls. 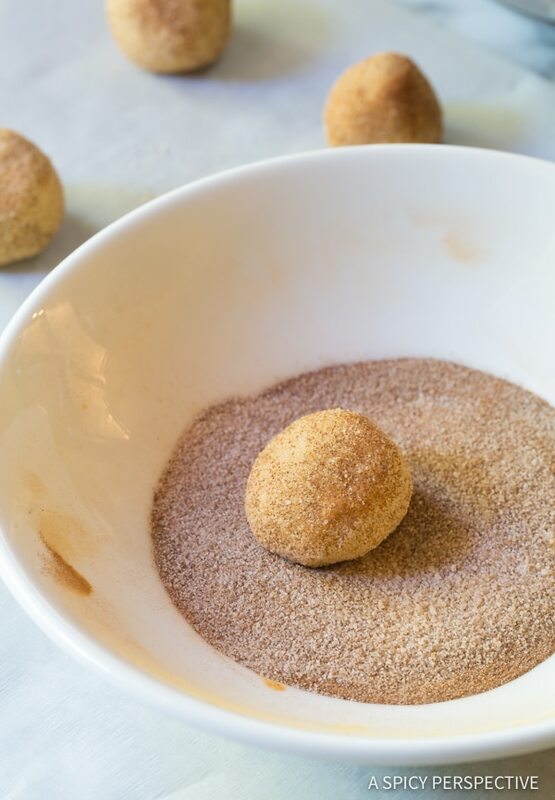 Roll each ball in your hands to even them out, then roll in cinnamon sugar to thoroughly coat. Place the balls on prepared baking sheets, 2 1/2 inches apart. Bake for 8–9 minutes, until just barely golden around the edges. Cool for several minutes on the baking sheets before moving. Cream the butter, powdered sugar, vanilla, and cinnamon together until light and fluffy. Scrape the bowl and mix in the marshmallow fluff. Match up two cookies that are of equal size and shape. Turn the bottom cookies over. Use a piping bag (or zip-bag with the corner cut off) to pipe the filling onto the bottom cookie. Add the top cookie on each sandwich and press down. 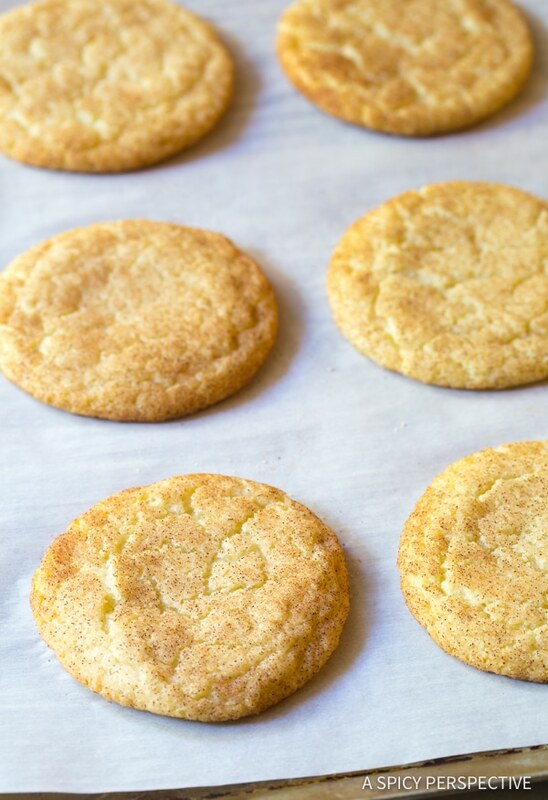 NOTE: For thicker fluffier snickerdoodles, chill the dough for one hour before rolling into balls and baking. 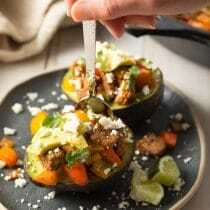 A little late to the game on this recipe, but OMGosh! I am in love. 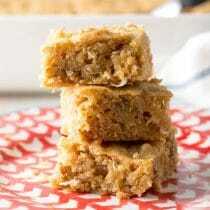 I wanted to find a stepped up snickerdoodle recipe to enter into my county fair and I stumbled upon yours. These are wonderful and I can’t wait to see how they do at the fair! 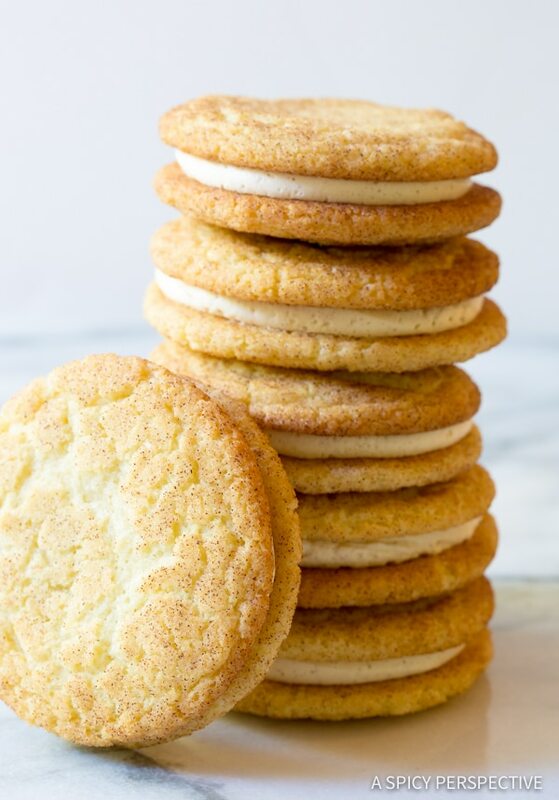 Snickerdoodles are always a must at the holiday but these sandwiches. No words. I love snicker doodles!! and in a sandwich??? YUM! These cookies are right up my alley! I love that you made them a sandwich cookie!